Kelvin was born and raised in New Orleans, Louisiana. He received his B.A. in Criminal Justice from Loyola University New Orleans and his J.D. from Tulane University School of Law in 2016. 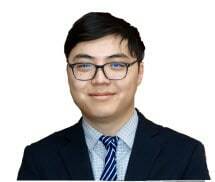 Prior to joining Klee Woolf Goldman & Filpi, LLP in May of 2018, Kelvin had volunteered his legal services to assist in high-stakes Foreclosure Defense dispute. Kelvin fluently speaks Cantonese and volunteers regularly in the New York Chinese community. Kelvin joined the firm to ensure that injured workers receive the best legal representation through advocating and preserving their legal rights.